The LYF’s Cristina Talens recently travelled to Ghana, to record the first of our Farmer Radio programmes for the local communities with farmer field listening groups, set up to inform the radio content. Cris was accompanied by representatives from CARE international in Tamale and Christian Aid based in Burkina Faso, along with the local radio presenters. Together they worked with farmer field listening groups to record the first radio programmes around farming, water, weather and health. It will be up to the farmers to choose which of the programmes are most relevant to them to use at the relevant point of time in the agricultural calendar. This is so that the subjects remain relevant and are demand driven. The subjects which they discussed were allocated seasonal schedules and the broad themes that they will be using, focus on Health, Sustainable Farming and Weather. – Burning vegetation – why to avoid this – and the impact of slash and burn farming in the long term. 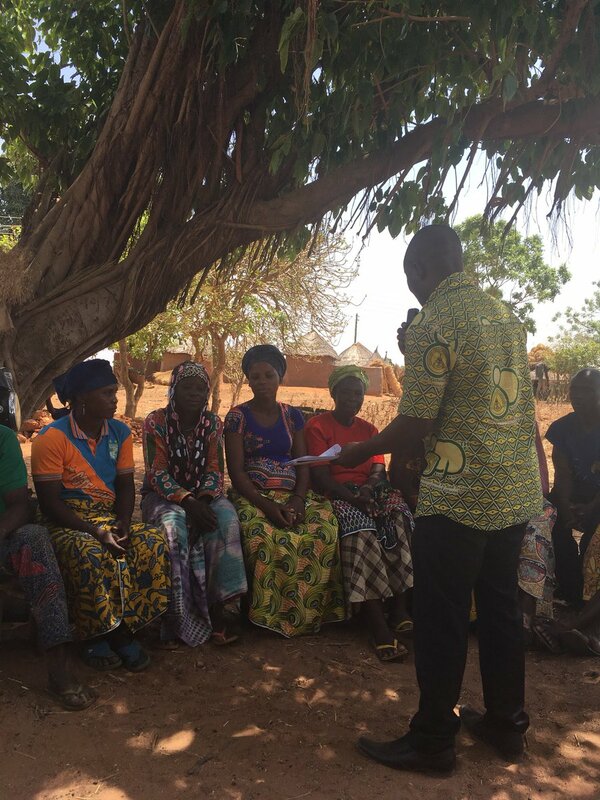 Keep watching for more updates and for exciting news on the progress of our work in Ghana! This entry was written by admin, posted on 05/03/2018 at 10:15 pm, filed under Farmer Extension Programme, Latest News, Updates and tagged Africa, African farmers, agriculture, CARE International, Christian Aid, Cristina Talens, farmer radio, Lorna Young Foundation, smallholder, smallholders. Bookmark the permalink. Follow any comments here with the RSS feed for this post. Post a comment or leave a trackback: Trackback URL.